That is what Magforum.com is dedicated to. So, welcome. 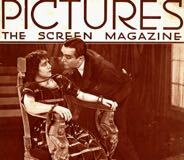 Here, you will find all you need to know about vintage and modern magazines, whether digital or in print, and the industry that produces them. 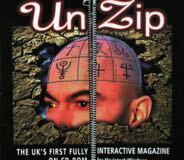 As well as timelines, jargon busters and FAQs, explore the development of a genre such as car magazines, men's or women's titles; or the world of alternative magazines, from Huck to Hot Rum Cow. Find out why magazine covers look the way they do or just revel in remembering the magazines you were addicted to as a teenager - and Pink Floyd concerts. If you want tips on selling or buying magazines on Ebay, go to the collecting magazines page. 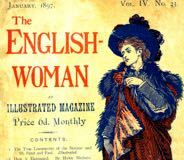 For students, lecturers and teachers there are resources such as sections on magazine cover design, the portrayal of women in the First World War and lots of tales about magazines. Magforum is a great place to find information and ideas for project work and dissertations, and is the recommended print media resource for students on media courses vetted by OCR - the awarding body for of Oxford and Cambridge universities and the RSA. Whether you are an editor, photographer or designer, a publisher, curator or historian, a student or just a fan, come in and look around the 150-odd pages on offer. There's a red menu bar across the top of each page for the main sections and a vertical menu on the left for magazine subjects. Or just use the Search box at the top of the page. Quoted by: Wikipedia; Cartoon Australia; Paperholic (Austria); Typophile. Recommended by Lille School of Journalism. Quoted in many academic works.